When Jon can’t sleep, he seeks help from a sketchy hypnotist named Professor Somnanbulo, who gives him a machine called the Hypno-Snore. 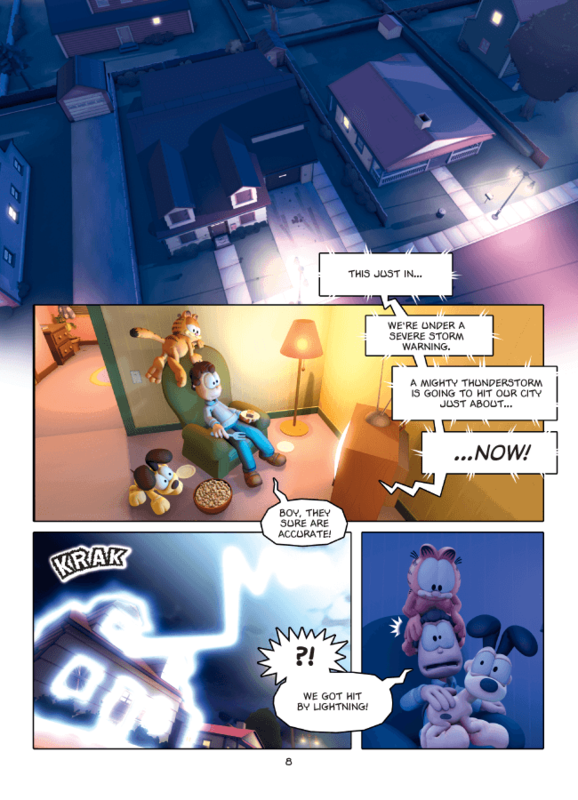 When Jon turns it on, Odie interrupts with his barking. 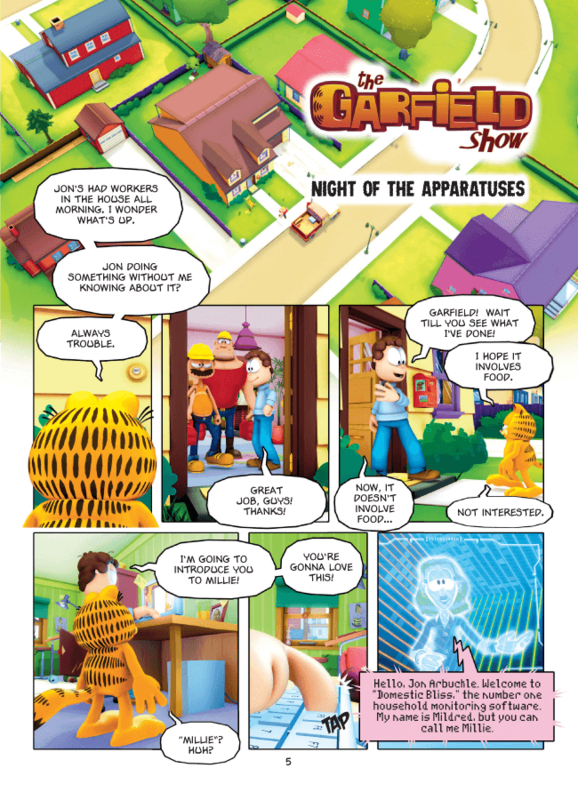 Unbeknownst to him, Jon’s been hypnotized to fall asleep — and sleepwalk — whenever Odie barks! 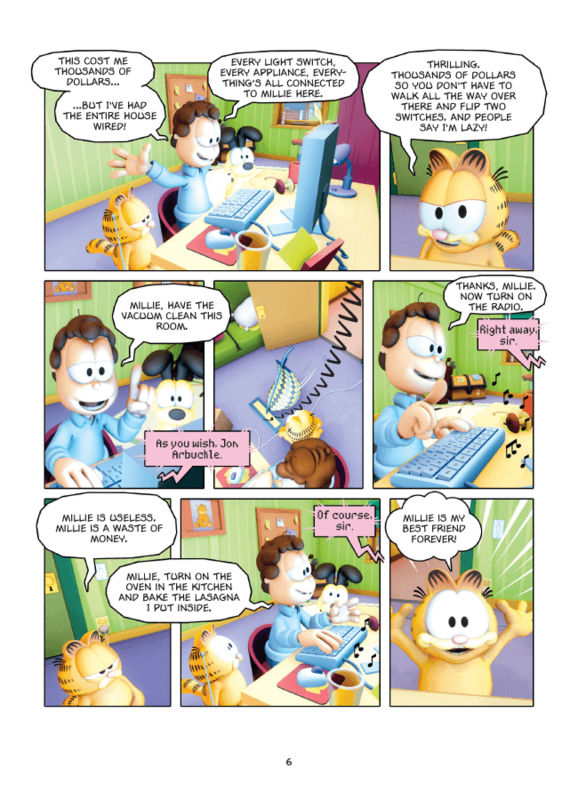 It’s up to Garfield to UN-hypnotize Jon, before things really get out of hand! 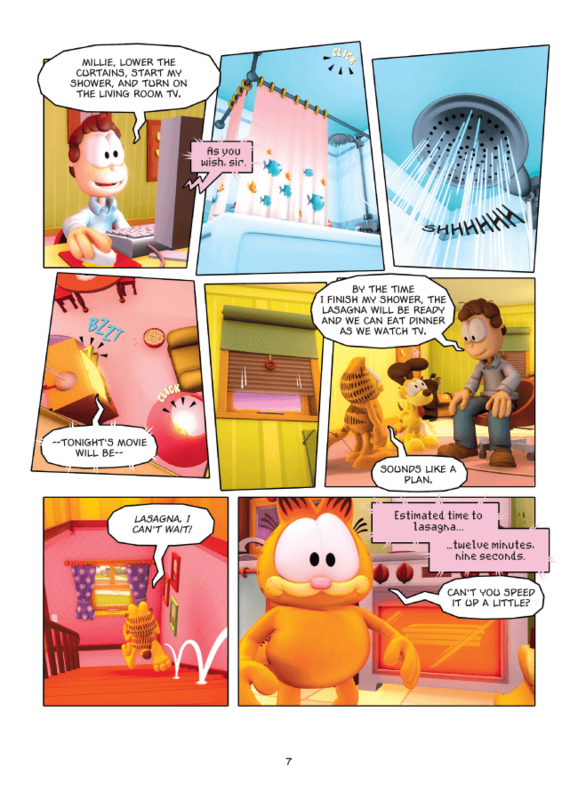 Featuring five more fun-filled stories starring Garfield, Odie, Nermal, and the rest of the gang!